Leicester City have sacked manager Claude Puel after just 16 months in charge at the King Power Stadium. The Foxes made the decision to move on the Frenchman following a 4-1 humbling at the hands of Crystal Palace on Saturday evening. The club released a statement on Sunday morning confirming the departure of Puel. It read: "Leicester City Football Club has today (Sunday) parted company with Claude Puel, who leaves his position as First Team Manager with immediate effect. "The Club would like to thank Claude for his efforts in leading the team during his 16 months in the role and wish him well in his future career. Assistant Manager Jacky Bonnevay also departs with the Club’s best wishes. 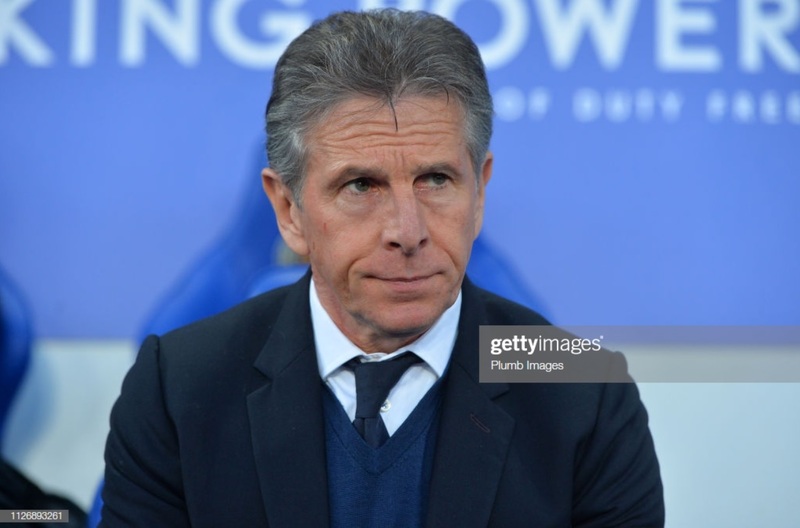 After being appointed in October 2017 following the departure of Craig Shakespeare, Puel presided over a total of 67 matches in all competitions in the East Midlands, chalking up a win record of 37.3%. Despite a promising start to his tenure, the Foxes have flattered to deceive in recent weeks with fans appearing to turn on the Frenchman. They have not won since a 1-0 success away to Everton on New Years' Day and have lost six out of their last seven games including Saturday's 4-1 thumping at the hands of the Eagles. As a result, they have slumped to 12th in the Premier League table and are now only eight points above the relegation zone, a fact that may have moved the hierarchy at the club into making a decision.